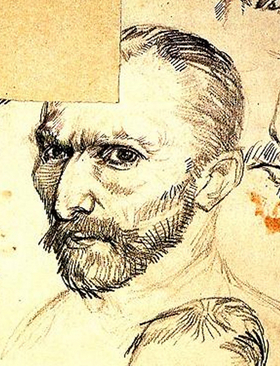 Does Vincent portray his age in his self portraits as in his photograph? What about that collar and jacket as in most of his self portraits?, just as Dr. Gachet's jacket. Here in his drawing you will see every hair is drawn from the photo. 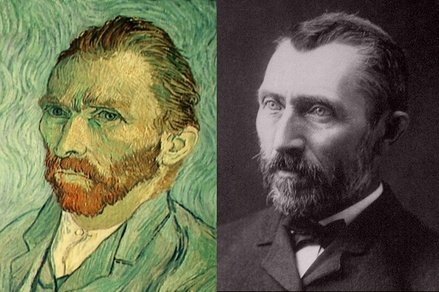 Who knew Vincent had a sty on his eye, see it? Why would he have drawn that perhaps because it is in his photograph.